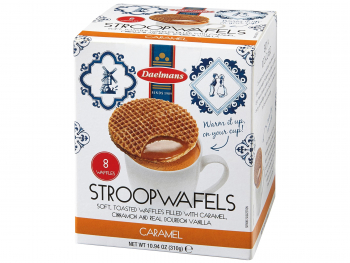 Discover the tempting layers of the new Daelmans Chocolate Caramel Stroopwafel. 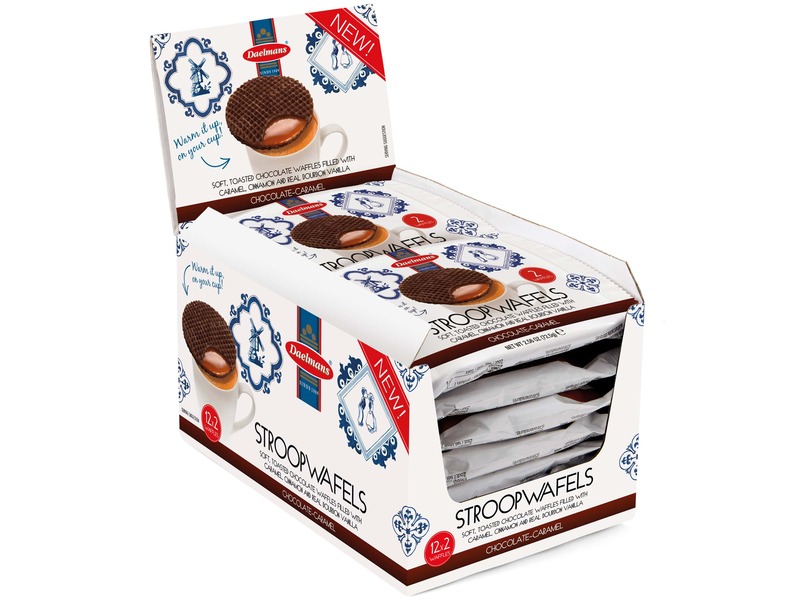 A delicious crunchy chocolate stroopwafel filled with a smooth caramel syrup made with authentic Bourbon* Vanilla from Madagascar. 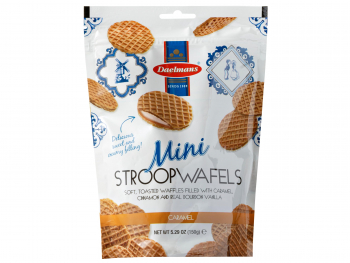 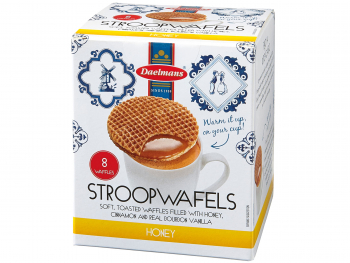 Contains 12 x 2 chocolate stroopwafels. 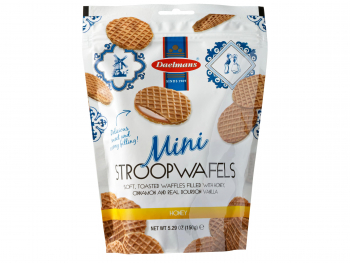 Glucose Syrup, Wheat Flour, Sugar, Palm Fat, Butter (milk), Treacle Syrup, Cocoa powder, Soy Flour, Canola Oil, Salt, Dextrin (Wheat), Natural Flavor, Leavening (Baking Soda), Emulsifier (Soy Lecithin, Mono- and Diglycerides of Fatty Acids), Acidity Regulator (Citric Acid), Spice (Cinnamon), Vanilla Pods.